40,562 page views over twelve months, updated daily. Billesdon Parish Council works with the community to make Billesdon the best it can be as an attractive and desirable village in which to live and work. This website also includes information about how Council conducts business, as well as information about the Clubs, Societies, Organisations, events and local plans in the village (see 'Village Information'). 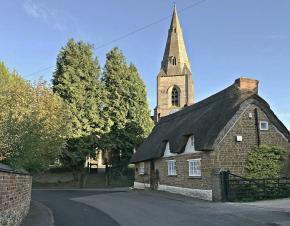 The Parish Council meets at Billesdon Baptist Chapel every six weeks. The agendas are posted here one week in advance. All Parish Council meetings are open to the public and contributions are actively invited from residents during the open session at the commencement of the meeting. If you would like to help create a new entry, or update an existing entry, please contact the editor of 'Village Information': Ian Bowler (bowler.ian1@gmail.com). All classes are £5.00 with a five-class pass for £20, valid for three months. The Billesdon Village Directory, published on behalf of the Billesdon Good Neighbour Scheme, has been revised and reprinted. See the new version here. Billesdon Allotments are now open on Gaulby Road with vegetables and fruit growing well in our good quality top soil. We have a few plots still available. Come and get involved in this great community activity. If interested, please contact Jonathan on 259 6681 or Anna on 259 9312.